Expedia can help you save heaps with an Apex Mountain travel package. With all that extra money in the bank, you might even like to book a few extra nights. Savings of up to C$590* are available to smart vacationers who secure a package deal on Expedia. You can choose from more than 400 partner airlines and 321,000 worldwide properties via our extensive database of flights and lodgings. Fly with who you want, stay where you want — now that's the perfect vacation! You can alter your vacation bookings with us because we don't charge cancellation fees for almost all of our bookings. It can be really nice to just amble around the streets in a new destination, but sometimes it's a wise move to have a plan in place. Grab your travel schedule — we have loads of awesome ideas for your forthcoming Apex Mountain vacation. Sightseeing is always so exciting, particularly when the sights are as good as Apex Alpine Resort! You may need a while to visit this wonderful attraction. Few things are as thrilling as staring out at a fresh layer of powder and knowing you have an entire day in front of you to conquer the slopes. Zip up your jacket and put on your skis — Nickel Plate Cross Country Ski Area is calling your name! Still have time to spare? There's nothing more relaxing than kicking back in comfort after an epic day on the snow. 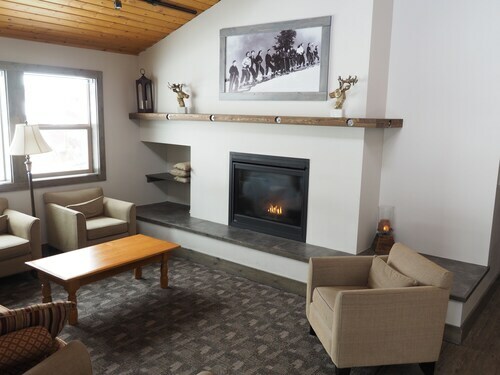 At Apex Mountain Resort you can tackle the slopes then swap stories over food and a couple of drinks. 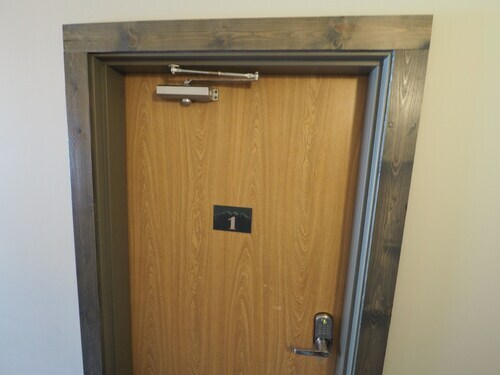 With 12 properties available, you won't have any issues securing somewhere great to stay. Reserve a room for your next luxury getaway or cheap vacation via Expedia and enjoy a good night's sleep in Apex Mountain. Begin your vacation on an extravagant note by slipping between the soft, silky sheets at the Snow Ridge by Apex Accommodations (100 Strayhorse Rd). 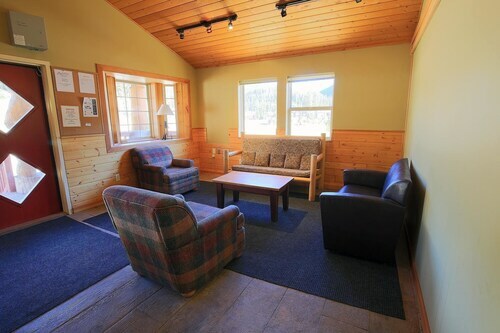 Alternatively, The Apex Mountain Lodge (Apex Mountain) is an excellent place for the money-conscious traveler to spend their nights. Have you booked your plane tickets for your trip to Apex Mountain yet? When you get there, get ready to walk out into Penticton Regional Airport (YYF). It's 14 miles (23 km) from the terminal to the center of town. Situated in Penticton, this ski condo building is steps from Apex Mountain Resort and Apex Alpine Resort. Nickel Plate Cross Country Ski Area is 4.4 mi (7.1 km) away. 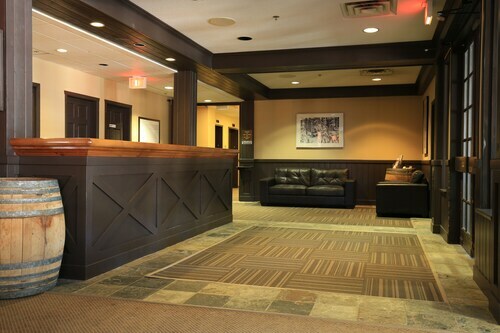 Set amidst the mountains, this ski-in/ski-out hotel in Penticton is within a 5-minute walk of Apex Mountain Resort and Apex Alpine Resort and close to winter sports such as cross-country skiing and skiing lessons. Nickel Plate Cross Country Ski Area is 4.5 mi (7.2 km) away. 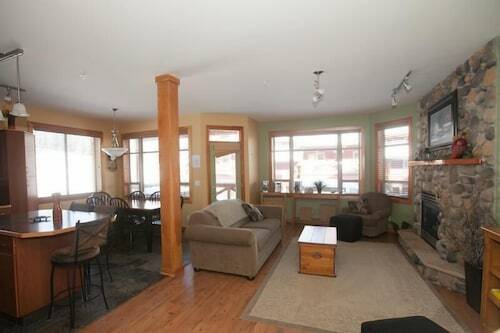 Situated in Penticton, this condo building is steps from Apex Mountain Resort and Apex Alpine Resort. Nickel Plate Cross Country Ski Area is 4.5 mi (7.2 km) away. Situated in Penticton, this condo building is steps from Apex Alpine Resort and Apex Mountain Resort. Nickel Plate Cross Country Ski Area is 4.4 mi (7.1 km) away. 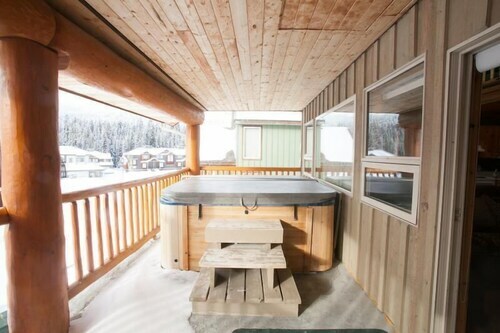 Situated in Penticton, this vacation home is steps from Apex Alpine Resort and Apex Mountain Resort. Nickel Plate Cross Country Ski Area is 4.4 mi (7.1 km) away.